Indigo Vineyard is a ten minute drive from Beechworth. 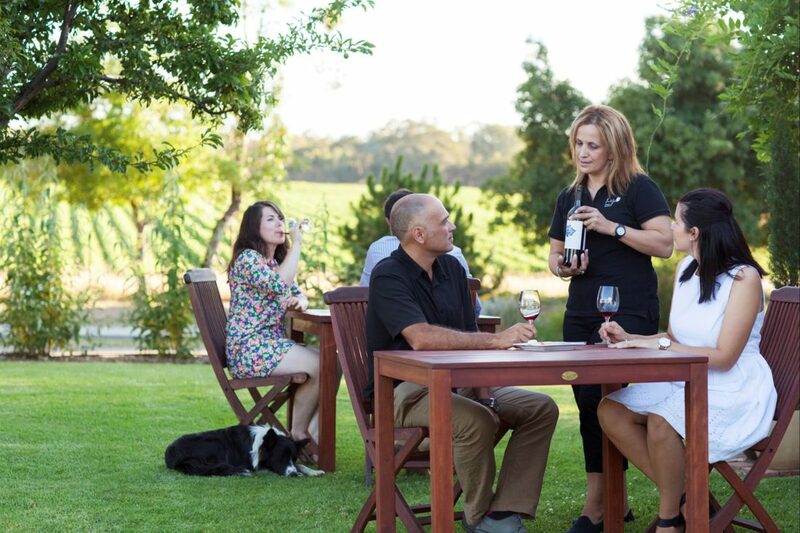 You will have a special cellar door experience with the free structured sit down tasting of up to eight wines while you sit and enjoy a tasting plate. For more than just a tasting, explore and arouse your senses with the Ultimate Taste Experience. Spend an hour matching food and tastes to the wines for $20 per person. Ride. For the not so serious rider. It is an hour or so ride through Indigo’s beautiful property to a spot overlooking the amazing hidden vineyard. Bring your own or rent one of Indigo’s mountain bikes. It is a great way to keep the older kids occupied while you visit the Cellar Door or for you to get into the ‘bike culture’ without too much pain. Walk. Indigo have a beautiful property in a wonderful part of the world. Stroll to the creek, take a bottle or bring your own picnic. You are invited to bring a picnic or order a prepared cheese picnic. Play. Enjoy a game of Bocce on Indigo’s pitch. Farmstay Accommodation is available adjacent to the cellar door (sleeps up to eight people).